Axis Medical Staffing says "We don't work with just anybody, we work with frickin' rock stars! In 2004 Ryan Skjonsberg and Adam McKinnon started Axis Medical Staffing in a small suite. These two saw the opportunity to run their company differently than other agencies at the time and they put in the legwork other agencies weren't. Axis booked their first shift in December 2004. Today Axis is one of the fastest growing companies in Washington and they are still putting in that same legwork....and more. Located in Seattle, Washington, lower Queen Anne, the Axis offices enjoy a beautiful 180 degree view of Elliot Bay and a great office culture. 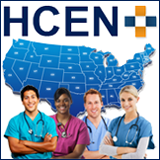 They specialize in per diem staffing, contract assignments/travel nursing, contract-to-hire and direct hire placements to nursing and allied healthcare professionals. Why choose Axis to work with? They says it's easier to describe what they are not…..they are not your average corporate "big box" staffing company. They are not sleazy business people in bad suits pushing around resumes, lying or overselling positions. They have been placing top talent in adventurous careers since 2004 and will prove to you they are different from the rest. There is so much more to Axis besides their laid-back culture. 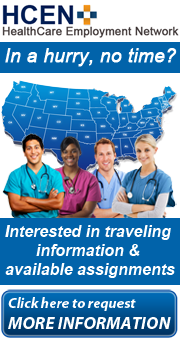 If you would like to find out more about Axis Medical Staffing click here.